This seminar addresses chiropractic for infants through two years old. Whether you are a recent graduate needing more exposure to pediatric in order to begin, or you are an experienced pediatric chiropractor looking to reinforce skills and learn something new, this seminar is for you. You will have the opportunity to practice (on dolls, not on live infants) and discuss what you are learning. Make infants part of your practice with confidence, with Dr. Geraldine Mulhall-Wright, DC. know when a child is ready to transition from meningeal nervous system adjustments to a stronger, more manual adjustment. 1 Introduction to pediatric exam and adjustment: overview with lecture and discussion. Pediatric reflexes review, normal and abnormal, with lecture and demonstration (on dolls). Including the reflexes that indicate that a child may be heading toward the autistic spectrum. Basic principles of adjusting. 2 Contraindications and technique modifications, with lecture, discussion and demonstration. With attention to birth trauma and special populations. 3 Assessing craniosacral normal and abnormal with lecture, discussion and demonstration. Focusing sacral occipital technique (SOT), and motion palpation technique. 4 Where to start – deciding what techniques to use, with lecture. Dollar sign and crest sign and how it can help you decide when a child is ready for a more manual technique. 5 Assessing upper cervical, normal and abnormal, with lecture, discussion and demonstration. Focusing on motion-palpation technique, Activator technique, and reverse fencer reflex. 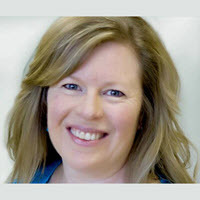 Dr. Geraldine is a practicing DC in a family wellness-based practice since 1997 and instructor of Pediatrics and Gynecology at Life Chiropractic College West. She is a third generation chiropractic wellness patient and author of papers on pregnancy, birth, children, and chiropractic. She is co-author of“Piriformis Syndrome,” Life Work, Vol. 3, No. 1, 1996. Dr. Mulhall’s professional mission is to provide her practice members with the skills and information necessary to improve the quality of their life and their family’s lives. She is committed to educating her community about the benefits of a healthy chiropractic lifestyle from birth through the end of life. She is passionate about supporting mothers through their pregnancy and birthing process and eliminating the damaging effects of birth trauma on newborns. Dr. Mulhall-Wright is married to Scott Wright and together they live a chiropractic family wellness lifestyle and help educate their community.